This is my house – Nokia 1020 Windows Phone, iPhone 5, Moto X Android whatever version. 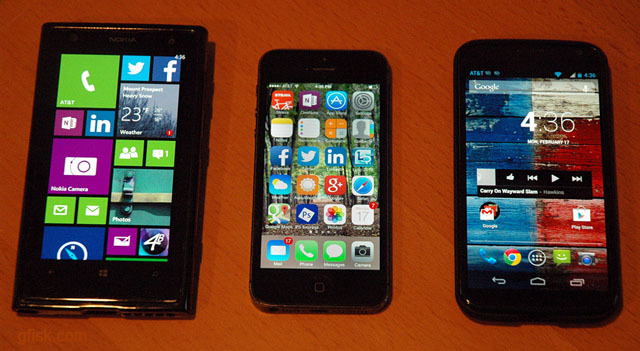 The Moto-X is badass, Windows 8 on Nokia kinda cool and iPhone is awesome as always (but getting boring?! ).